A team of researchers at the Institute for Modeling Plasma, Atmospheres and Cosmic Dust (IMPACT) at the University of Colorado Boulder, have developed the first 3D simulations to disentangle the movement of ions and electrons as the solar wind interacts with lunar magnetic anomalies. The researchers used NASA’s Pleiades supercomputer, combined with lunar satellite observations, to show that solar wind standoff can reproduce lunar swirl features. 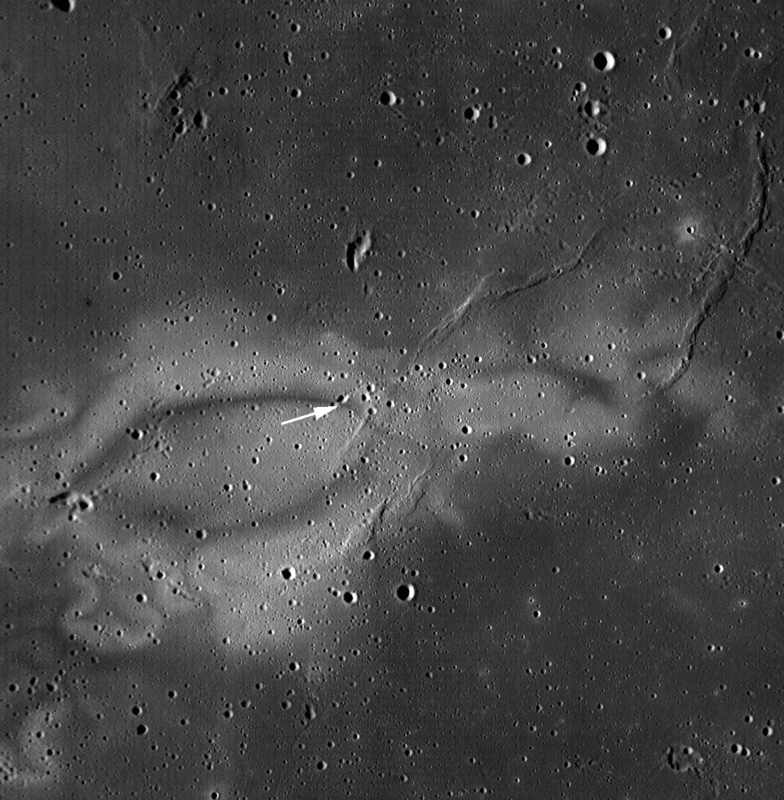 Lunar swirls are enigmatic features on the Moon’s surface characterized by bright streaks in the lunar soil that are much brighter than the surrounding regolith. All lunar swirls are located where crustal magnetic anomalies have been detected, but not all such magnetic anomalies have the swirly markings, making lunar swirls an intriguing puzzle yet to be solved. 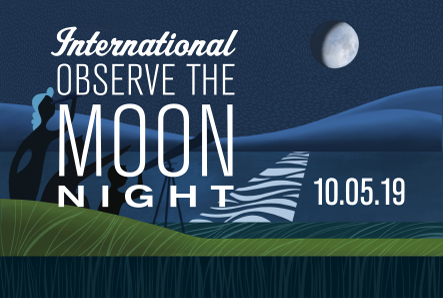 Exactly what causes lunar swirls has been under debate since the Apollo era. 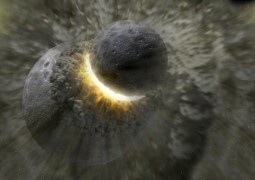 Recent impacts by comets and micrometeoroids might have left behind fine, unweathered material with remnant magnetization that locally brightened the surface, or perhaps the presence of lunar magnetic anomalies prevented weathering by solar wind ions and the formation of nanophase iron that darkens regolith, or electrostatically levitated dust may have experienced a kind of magnetic sorting. The NASA Lunar Reconnaissance Orbiter Wide Angle Camera’s monochrome context image of the Reiner Gamma swirl; scene width approximately 80 km credit: NASA/GSFC/Arizona State University. The Reiner Gamma crater has a lunar swirl co-located with one of the strongest crustal magnetic anomalies on the Moon. This may produce a mini-magnetosphere that shields the lunar surface from solar wind plasma forming brighter areas, while focusing plasma into the darker areas. The researchers recognized that if the surface weathering pattern generated by the solar wind matched the observed albedo markings, it would support the notion that lunar swirls are formed by solar wind standoff. The team used a fully kinetic code, which resolves both the ion and electron dynamics. They implemented a three-dimensional geometry and topology of the lunar crustal magnetic field using Kaguya and Lunar Prospector magnetic field measurements. The researchers found that solar wind standoff reproduces the shape of the Reiner Gamma swirl pattern. Their innovative method also revealed why not every magnetic anomaly forms a distinct albedo marking: the magnitude, direction, and shape of the electric field are key ingredients that regulate proton energy flux to the surface. Solar wind standoff explains the correlation between the lunar surface albedo patterns and lunar magnetic anomalies. “For the first time, we’ve shown qualitative agreement between optical remote observations and in-situ measurements of the back-scattered protons simultaneously coupled together by a fully kinetic simulation,” said the paper’s lead author Jan Deca. “Fully kinetic simulation studies are the way forward until measurements of the lunar near-surface plasma environment on a kilometer-scale resolution become available,” he added. Previous works by Deca et al. focused on the solar wind interactions with dipolar magnetic fields and outgassing comets, but the most recent research has extended to the solar wind interaction with magnetic anomalies on the lunar surface. The paper “Reiner Gamma albedo features reproduced by modeling solar wind standoff,” was published in the April 2018 issue of Nature’s Communications Physics. The research was funded in part by NASA’s Solar System Exploration Research Virtual Institute (SSERVI) in Silicon Valley. 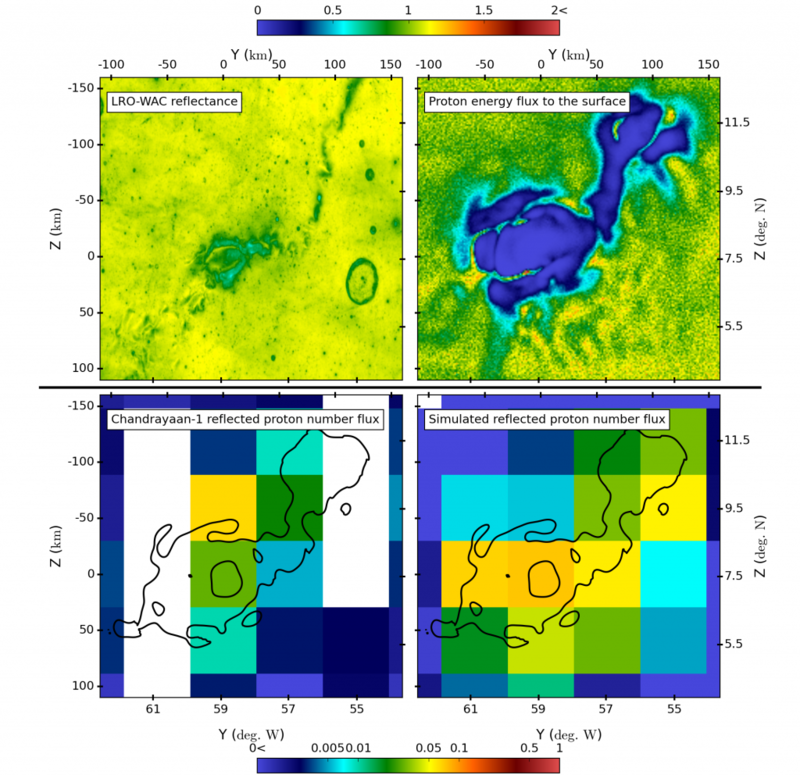 The research was conducted by the Institute for Modeling Plasma, Atmospheres and Cosmic Dust (IMPACT)– a SSERVI team at the University of Colorado in Boulder.